I was sceptical about trying another new salon after 2 previous bad experiences but I needn’t have worried. Louise took time to listen to what I wanted and with her expertise and skill restored my faith in hairdressers. I am over the moon with my hair cut and it has given me a total confidence boost. Rootz has an exceptionally friendly, relaxed yet professional atmosphere that provided a unique experience from the welcoming coffee when I arrived to the moment I left. Thank you! Leanne worked some serious magic on my hair, it’s a fantastic cut and the highlights/colour are beautiful. Super-friendly salon with very talented stylists. Very detailed chat about what I wanted. I have difficult hair and am a tad fussy. Liked my haircut and will be going back. Phoned last minute to have my eyebrows waxed and managed to get an appointment. I absolutely adore them and the lady was so lovely and easy to chat to! Brilliant service. A very professional and friendly salon. I'm disabled and they couldn't go out of their way more for me, but they also do for any customers! Very professional and talented staff that make you feel really welcome. I can't recommend Rootz highly enough!! Great cut and good to have someone that gets my hair and sorts my querks out, allowing for what I think need done. Lovely salon, comfortable, great shampoo. 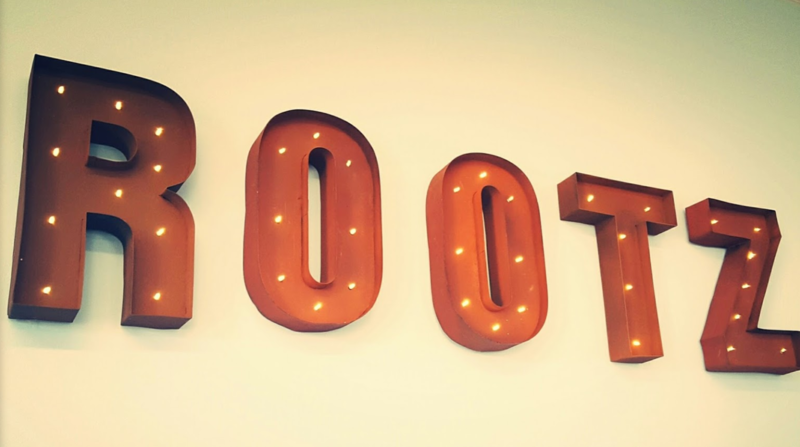 It's always a fabulous experience at Rootz! Louise and the team make you feel special from start to finish providing fantastic quality.